British police said Tuesday it was reviewing allegations against five men accused by Rwanda of involvement in the country's 1994 genocide. 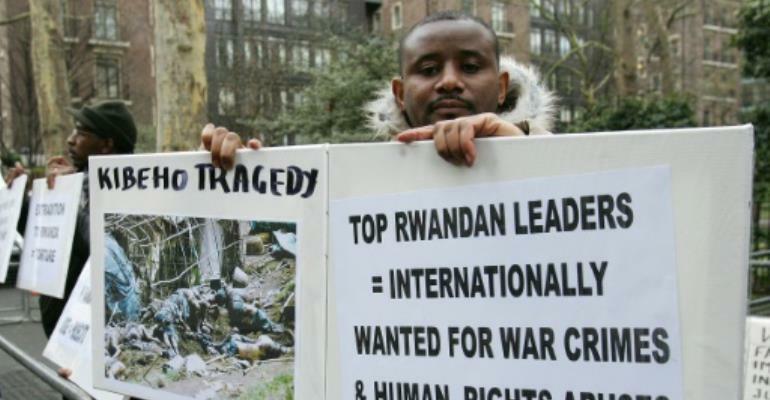 Two days after the world commemorated the quarter-century anniversary of the gruesome ethnic massacre, the Metropolitan Police's War Crimes Unit said it had "received a request from Rwandan authorities in January 2018 to investigate five individuals. Some 800,000 people, mostly Tutsis and moderate Hutus, were beaten, shot, or hacked to death with machetes in 100 days of slaughter. Citing human rights concerns, a British court in 2015 denied a Rwandan extradition request for the five men: Vincent Brown, Charles Munyaneza, Emmanuel Nteziryayo, Celestin Ugirashebuja and Celeste Mutabaruka. They are accused by Rwanda of genocide, complicity in genocide, crimes against humanity, conspiracy to murder, forming a criminal gang and inciting disorder, but have reportedly denied any involvement. Last week, French President Emmanuel Macron announced the creation of a commission of historians and researchers that will delve into the state archives for clarity on France's actions during the genocide.